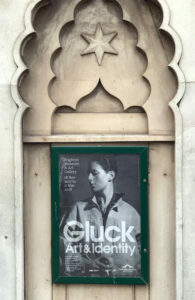 A notable highlight of the autumn-winter 2017 exhibition calendar is Gluck: Art and Identity at Brighton Museum and Art Gallery. 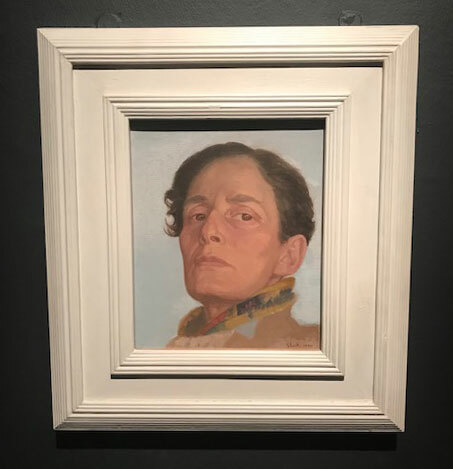 Curated by Martin Pel and Amy de la Haye, the show focuses on modern British artist Gluck – who is now also recognised as a trailblazer of gender fluidity. 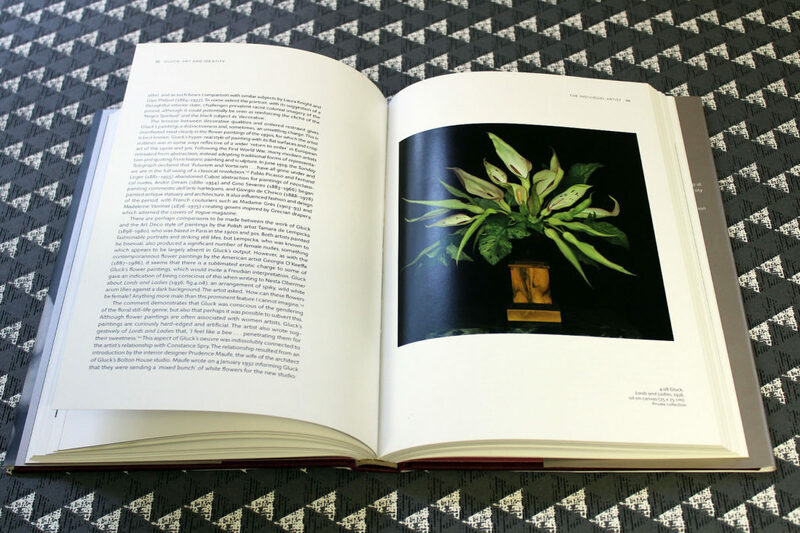 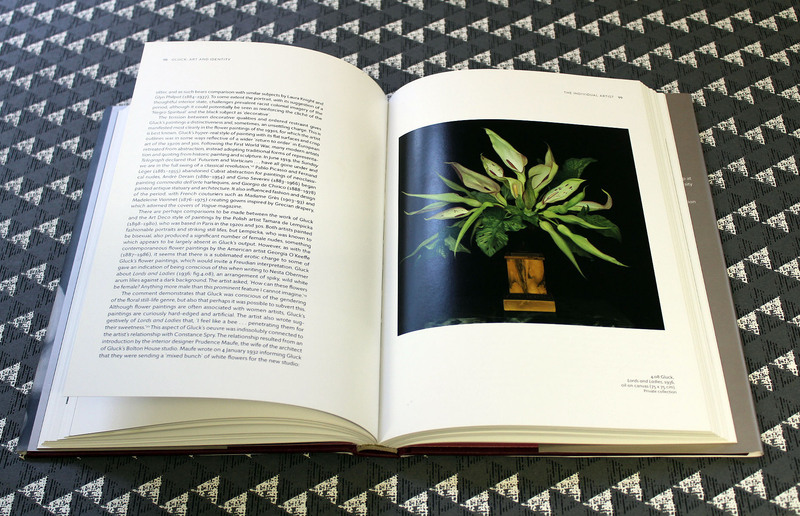 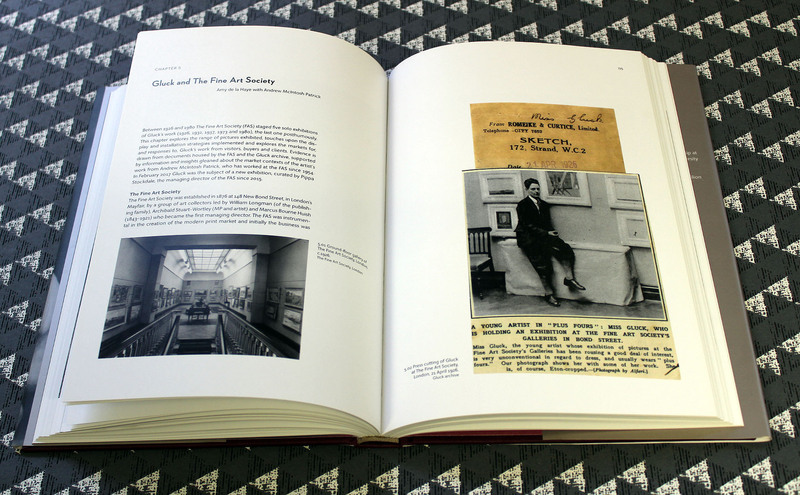 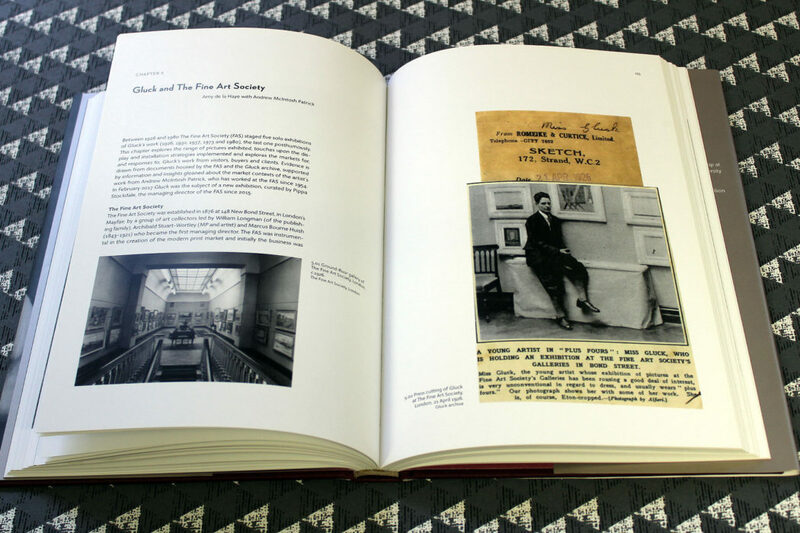 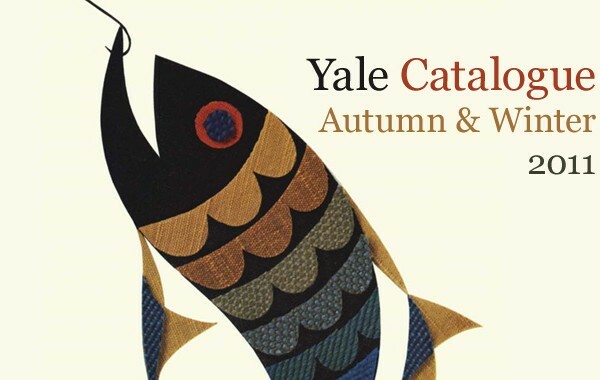 Curators Martin and Amy are also the editors of the accompanying catalogue, available from Yale. 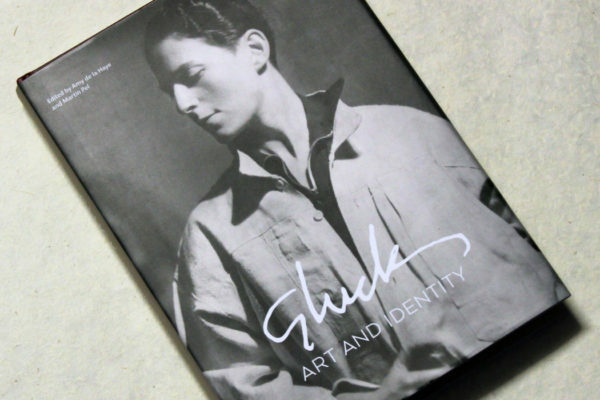 Gluck, no prefix, no suffix, or quotes. 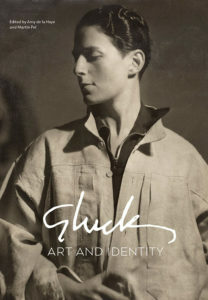 Gluck was the adopted name of Hannah Gluckstein (1895-1978), an artist who rose to prominence during the First World War through still life paintings, portraits and landscapes. 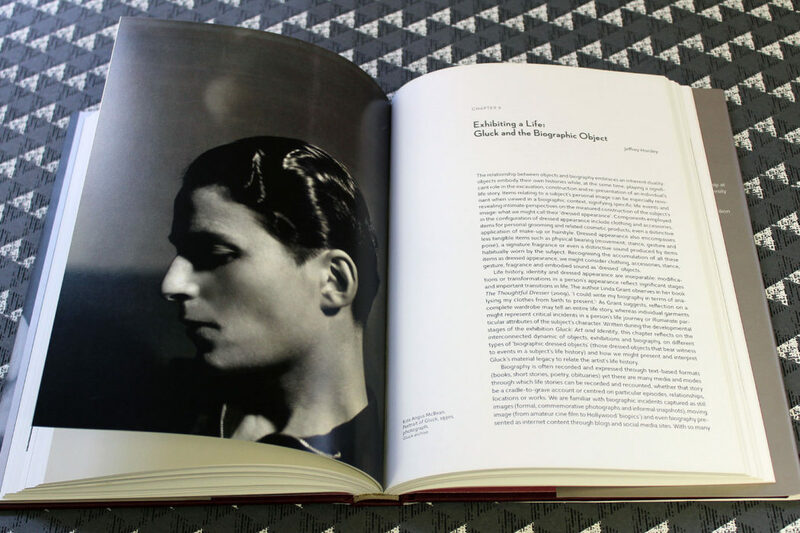 Gluck was also renowned for masculine dress and androgynous look, sporting barber-cut short hair and men’s tailoring. 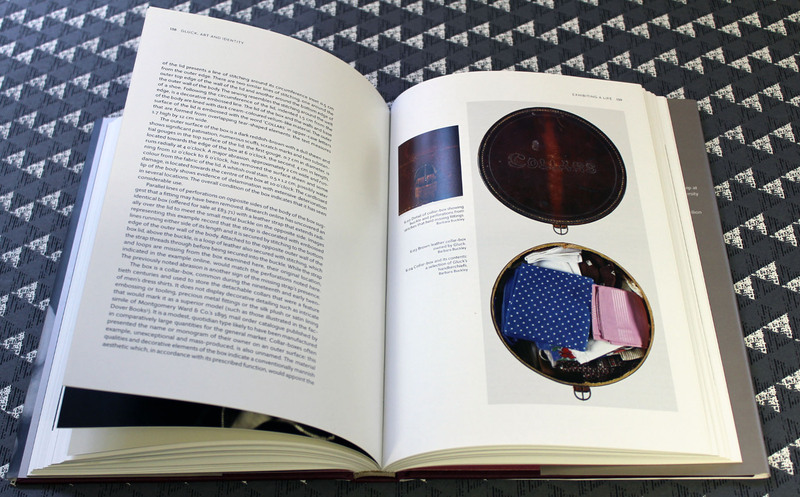 In 1977, a year before the artist’s death, Gluck donated fifty-seven personal items, mostly garments and accessories, to Brighton Museum. 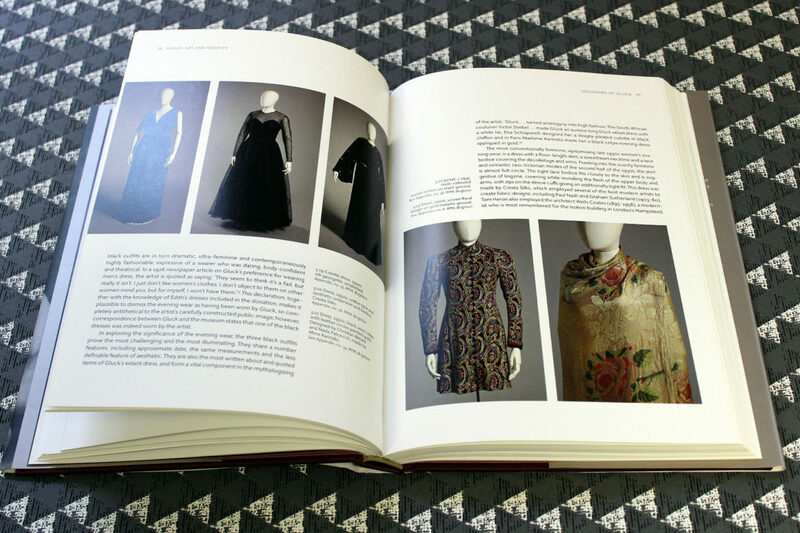 They include dresses owned by the artist’s lovers, as well as Tunisian menswear bought while visiting the country in the 1930s. 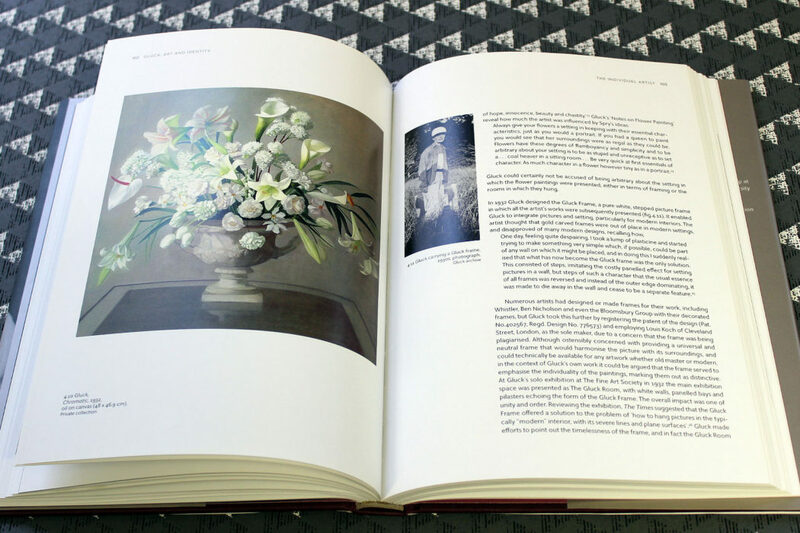 This major new exhibition exploring Gluck’s life and work is on show at Brighton Museum and Art Gallery from November 2017 to March 2018. 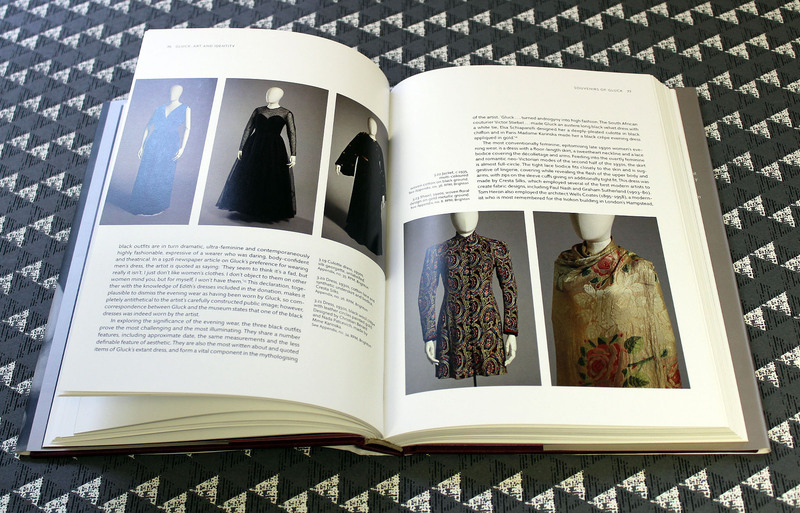 The accompanying catalogue features richly illustrated contributions by experts in dress history, gender studies and curatorship. 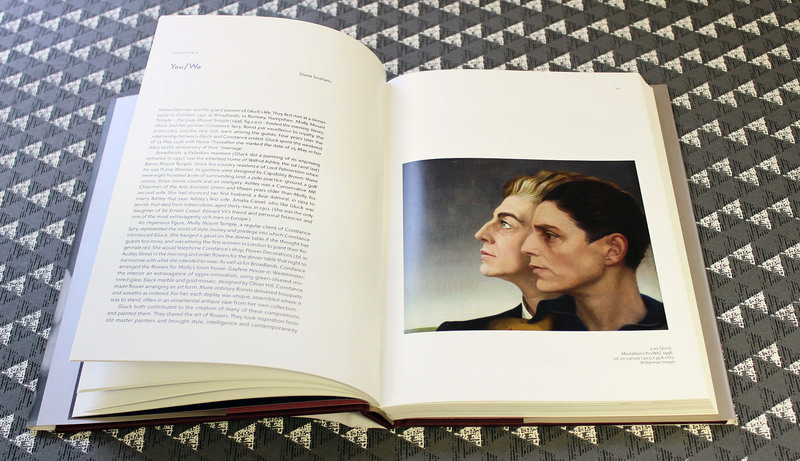 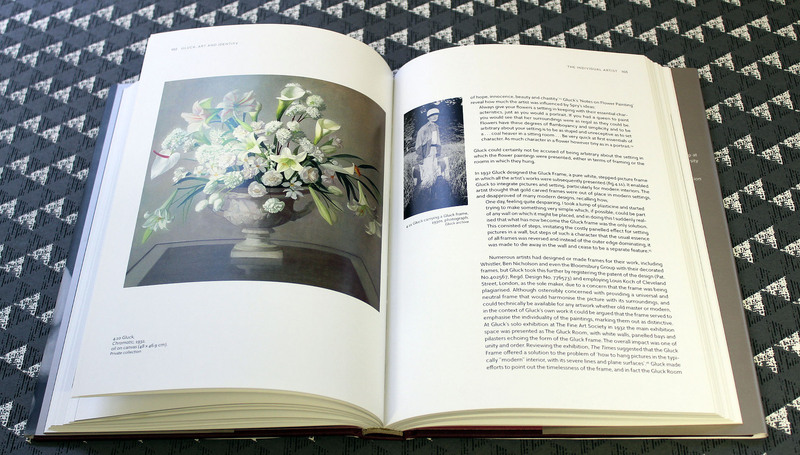 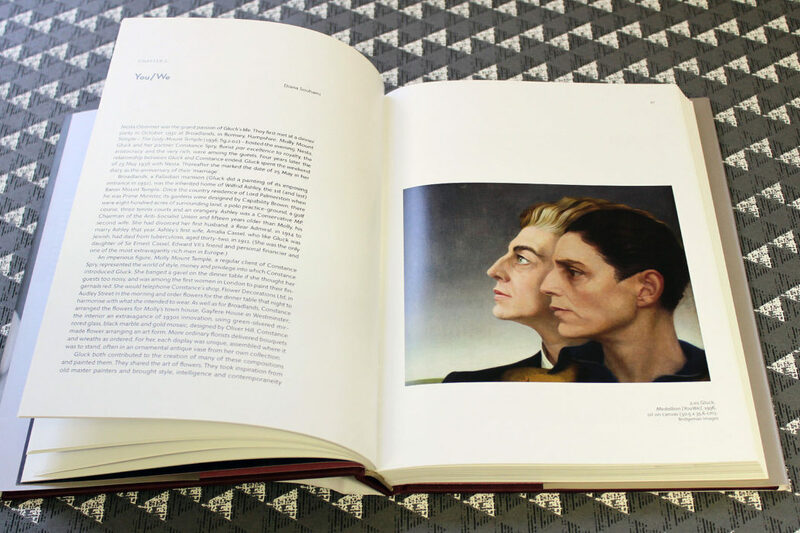 We’ve selected some favourite spreads from the book which showcase Gluck’s versatility as a painter – and illustrate Gluck’s personal style. 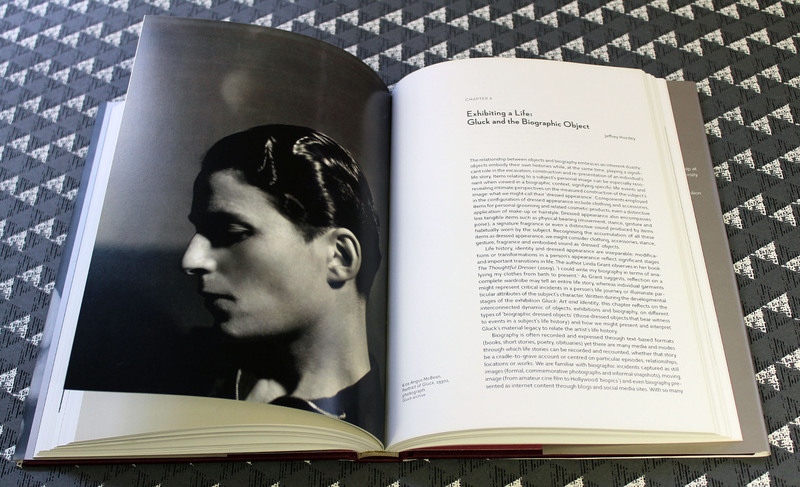 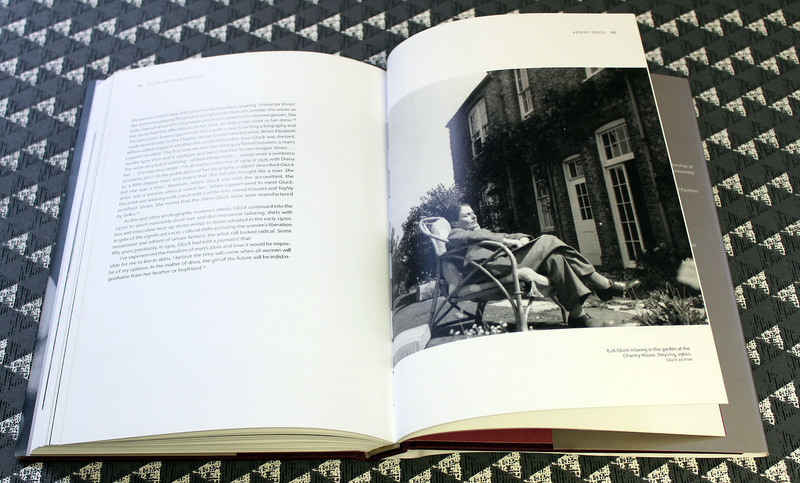 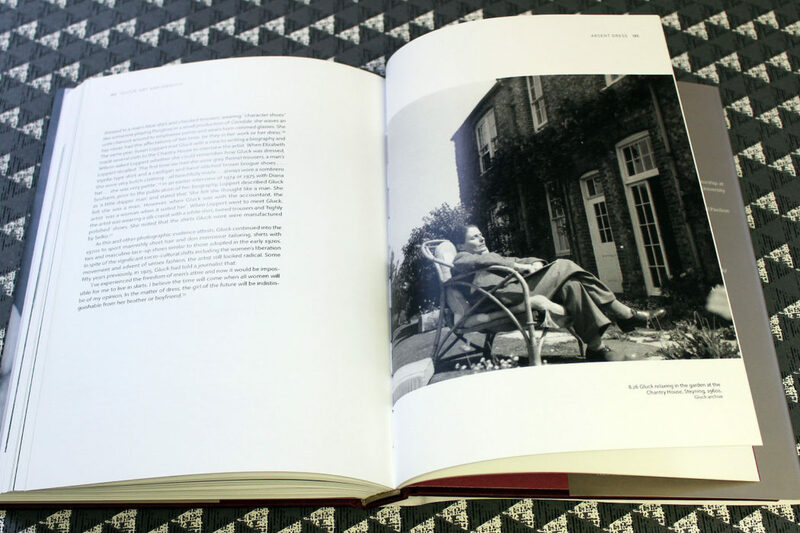 ‘Independently minded in art, as in life, Gluck consciously avoided joining any artistic groups, instead always remaining on the outside’ – Simon Martin, Gluck: Art and Identity, p. 87. 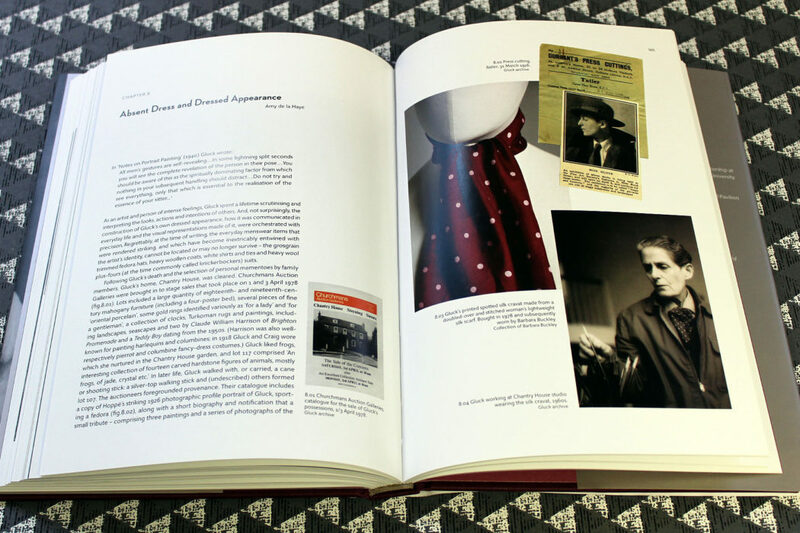 ‘The donation of personal ephemera in 1977, presented by the artist just one year before and in preparation for death, includes a large collection of clothing and accessories and is – to contemporary eyes – simultaneously highly revealing and in some instances perplexing.’ – Martin Pel, Gluck: Art and Identity, p. 64. 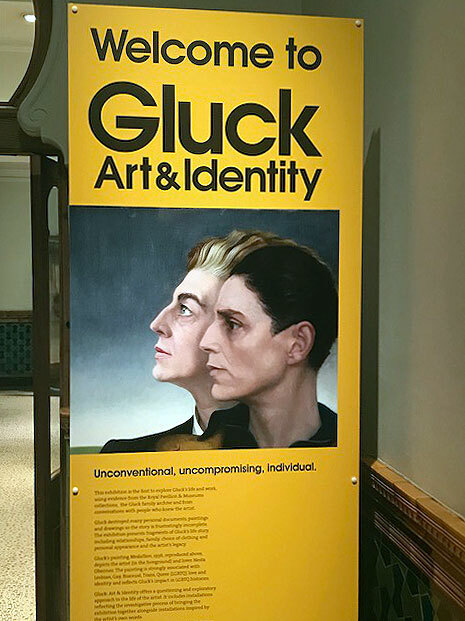 The exhibition Gluck: Art and Identity can be seen until 11 March 2018. 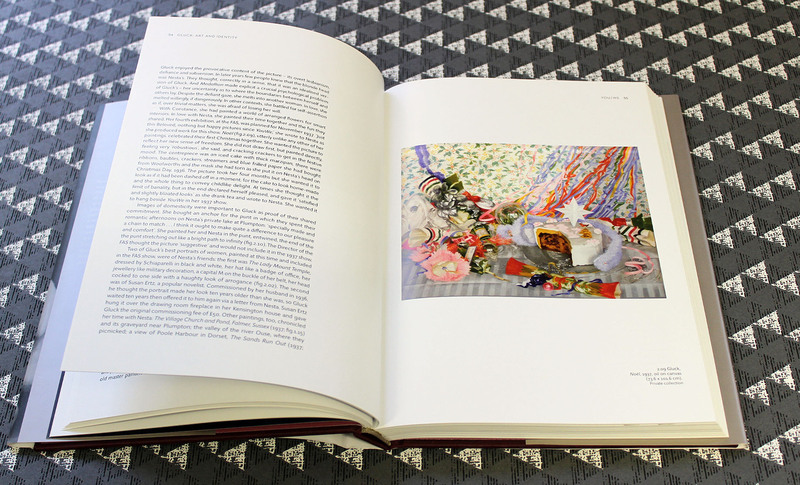 It is part of Wear it Out, a partnership with The Centre for Fashion Curation at London College of Fashion. 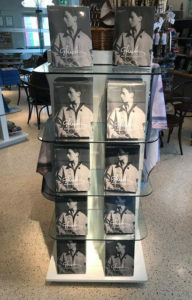 The catalogue is available here. 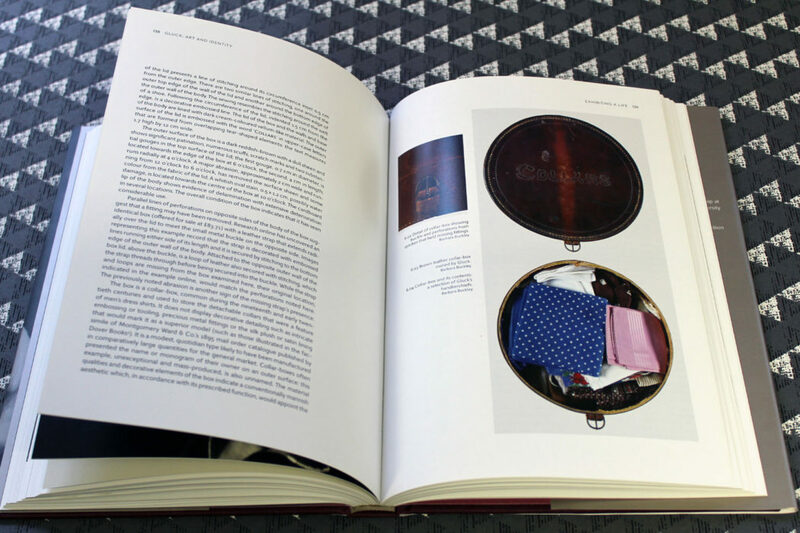 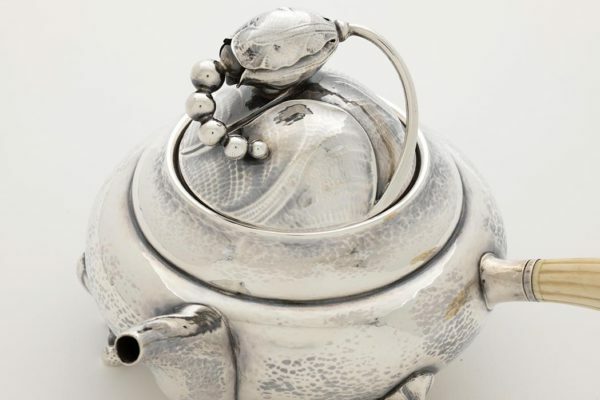 Martin Pel is curator of fashion and textiles at the Royal Pavilion and Museums, Brighton and Hove. 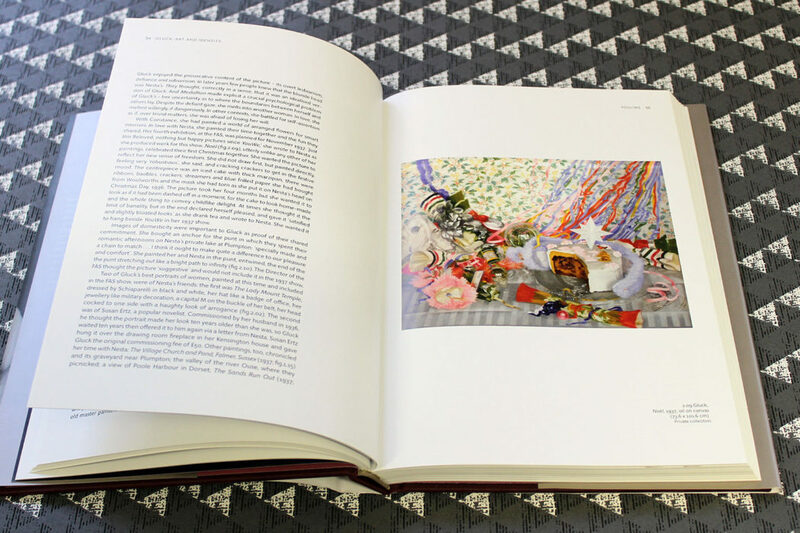 Amy de la Haye is professor of dress history and curatorship at London College of Fashion and joint director of the University of the Arts Centre for Fashion Curation. 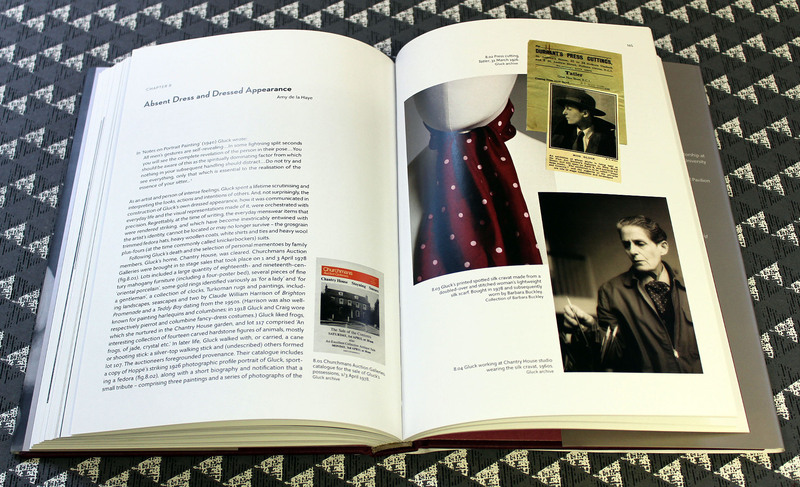 Read about how the show was created on the Centre for Fashion Curation blog.